The St. Kitts and Nevis Beach Buzz is a monthly newsletter dedicated to helping you get the best from your vacation in St. Kitts and Nevis. I hope you will have lots of fun reading it and will find the information, tips and advice, helpful in planning your trip to our beautiful twin-island Caribbean paradise. Although I have quite a lot in store for you, I would be happy to receive your comments and suggestions for future issues of the newsletter. This is a bumper issue, so do grab a Carib, Stag, CSR and Ting or your favorite Brinley Gold blend and sit back, relax and get ready to ‘Catch de Buzz’... the St. Kitts and Nevis Beach Buzz. Welcome to the premier issue of the St Kitts and Nevis Beach Buzz, the official monthly newsletter of discover-stkitts-nevis-beaches.com, my web site about St. Kitts and Nevis that I launched about a year and a half ago. My primary reason for starting the web site was to share my knowledge about my country St. Kitts and Nevis, in an effort to help you discover St. Kitts and Nevis, our Caribbean twin island paradise. At that time, I hardly realized that there was such a void for quality online content about St. Kitts and Nevis, nor did I know that my site would grow to fill that void. But here I am, a year and a half later, looking back at the evolution of my site from just a mere four pages, to more than 100 pages of solid content. Looking back at the last eighteen months, I can definitely say that it was full of fantastic moments. I responded to tons of e-mails from you, my dedicated site visitors, providing you with answers to your diverse questions about St. Kitts and Nevis, giving free advice about 'must do' and 'must see' activities and attractions, helping you to get in touch with local tour operators and event planners, while at the same time providing assistance with planning those customized special highlights of your trip. 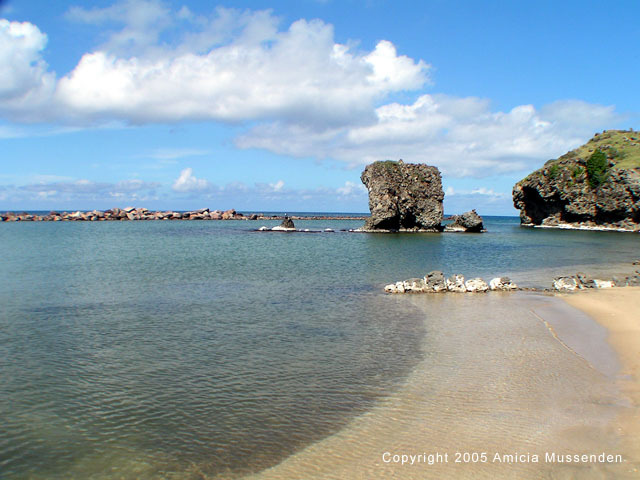 I have interacted with many of you via the online forums, including my own friendly travel forum at http://www.discover-stkitts-nevis-beaches.com/forum, which was launched back on July 30, 2004. The response to the announcement launching the forum was overwhelming, so much so that it caused the server hosting the forum to become inaccessible for the first couple of hours after the launch. Luckily this problem was sorted out within about two hours and the forum has been up and running since then, except for those times when I take it down for maintenance. Through our forum members link up, I have also had the pleasure to meet some of the members from my forum, as well as the St. Kitts and Nevis forum at Myeyez.net and site visitors during their visits to the island. Links to photos taken at some of these gatherings are posted on my site at http://www.discover-stkitts-nevis-beaches.com/forum. Although the travel forum has been one of the most popular additions to the Discover St Kitts Nevis Beaches web site, there are other interesting areas of the site, including the pretty e-cards that visitors can send to family and friends, visitor trip reviews, RSS news feeds, my St Kitts and Nevis blog (which I am in the process of converting to a photo blog), the featured photos page and the giveaways page where visitors can win exciting prizes just for subscribing to this newsletter. 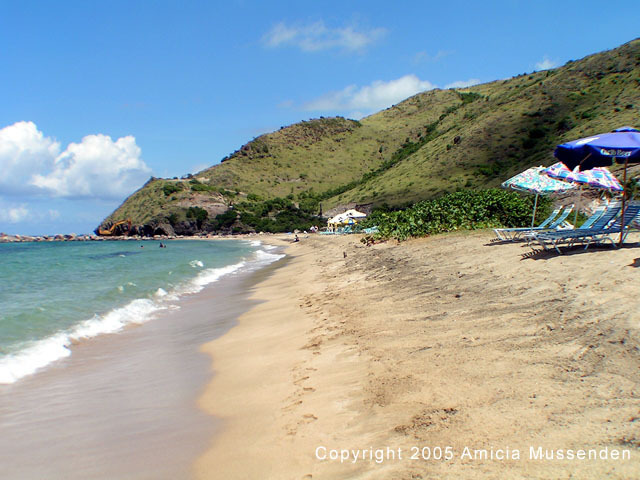 In May 2005, I launched an online travel booking engine at http://www.discover-stkittsnevis-beaches.com/travel to allow visitors to book their flights, hotels, vacation packages and car rentals for their trips to St. Kitts and Nevis. The great thing about using this booking engine to book your flights, hotels and car rentals, is that you can help to support the continued development of my web site, since I earn a small commission on completed bookings. 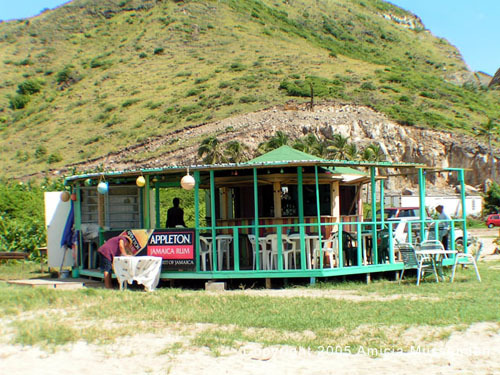 However, if you prefer to use a travel agent, Liz Pereira, the St Kitts and Nevis specialist travel agent who I highly recommend, has assisted, and continues to assist visitors to my site, (especially those visitors from Canada) with travel arrangements and recommendations about things to do and see. The words of encouragement and appreciation that many of you have written in your e-mails have been a great source of inspiration for me. Thank you for your moral support; it provides the drive I need to continue forging ahead to make this site the most useful independent online travel resource for planning a visit to St Kitts and Nevis. How will I accomplish this? Simple... I will continue to provide the quality content that you've grown accustomed to, and will enhance the services that my web site provides by incorporating appropriate technologies that are available. So, what do I have in store for you over the next year? This is something I've given a lot of thought to over the past few months. First on my agenda is to continue providing useful content, especially in those areas that have not been previously covered, but which you will definitely find valuable in planning your visit to St. Kitts and Nevis. In addition to the text and photos that I currently provide, I plan to incorporate audio in a number of innovative ways on the site, as well as include lots more photographs from my growing collection. I would also like to introduce more interactivity on the site, so I am considering introducing a conference room, where first time visitors, forum members and ‘regulars’ can meet up online to speak and text chat with each other. The conference room will also serve as a presentation room where I can conduct audio visual presentations and invite guest presenters to keep you updated on what’s happening in St. Kitts and Nevis. As there is a setup cost, as well as monthly costs associated with this service, I will however not be able to introduce it until I am able to obtain some sort of sponsorship or raise donations to cover the associated costs. The forum members link up is becoming a hit among forum members, so I have been thinking about how this event can be regularized to provide more opportunities for forum members to meet up with each other in person. One idea I have been bouncing around in my head is organizing small gatherings (sort of meet, greet and mingle parties eg. a local bar crawl) when forum members are on island. I see these gatherings as serving a dual purpose, namely bringing forum members together and providing an opportunity for members to have a truly local experience. If you have suggestions, please feel free to e-mail me using the form on my contact us page. Thank you for your continued support and I invite you to stay tuned for exciting times ahead. Since this is my first newsletter, you will imagine that I have a bit of housekeeping to cover. As mentioned in the intro section, the St Kitts and Nevis Beach Buzz is a monthly publication. For now the plan is to publish it on the last Thursday in each month, so please be on the lookout for 'the Buzz' in your e-mail at that time. From time to time however, I will publish special feature editions of the newsletter. Other than that, the only other times that you will receive an e-mail from me is when I have special announcements to make that just can't wait until the next issue of the newsletter, or of course when I am responding to e-mails you sent me. To ensure that you receive your copy of the newsletter and prevent it from being filtered by your SPAM filtering software, please add The_St_Kitts_and_Nevis_Beach_BuzzATdiscover-stkitts-nevis-beachesDOTcom (replace AT with @ and DOT with .) to your e-mail whitelist. In this issue of the newsletter, I have provided brief descriptions of the content that will be covered in the various sections of the newsletter. These descriptions will not be provided in future issues. This newsletter is a double opt-in newsletter, that is, you requested and confirmed that you wanted to be a subscriber. If you no longer wish to receive this newsletter, please use the link at the end of the newsletter to unsubscribe. In this section I will provide updates of what's happening at the site and new pages that have been recently added to my web site. As this newsletter is published monthly, some of the new pages and updates may have already been announced via my what's new or travel news feeds or via my blog. Bobsy's Bar & Grill will be having a big celebration on Friday September 30 to celebrate the second anniversary at their Frigate Bay location. Calypso Monarch King Socrates will be in attendance. The action gets started at 9:00 PM. There will be a two for one Stag beer special all night, and half price on all drinks from 9:00 PM to 10:00 PM. The St. Kitts Marriott Resort in Frigate Bay is the venue for the 2005 Florida Caribbean Cruise Association Conference and Trade Show. The event runs from September 27 to 30. The president of the Republic of China, Taiwan attended the opening ceremony. Some 1200 cruise executives of the major cruise lines, tourism officials and tour operators from Caribbean cruise destinations are attending what is said to be the largest FCCA conference and trade show to date. 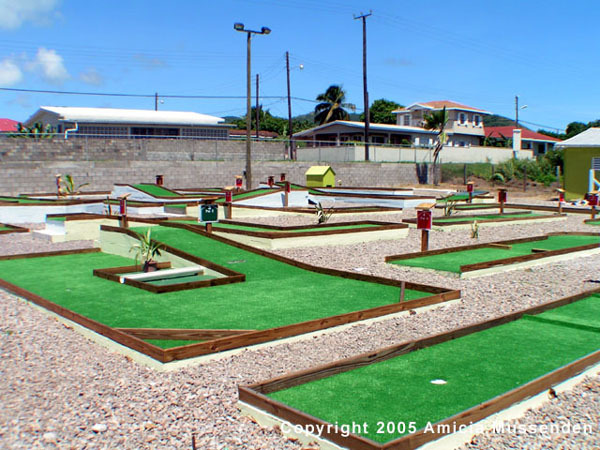 A new miniature golf course, Ezee Golf, opened its greens in St. Kitts on Saturday, September 17. The course is located at Bladen Commercial Development, next to the Foundation for National Development (FND) and the St. Kitts Cooperative Credit Union Headquarters. Bladen Commercial Development is located north of the Texaco Gas Station in the Value Mart shopping complex. Nite Moves Cocktail Bar and Grill opened its doors in Nevis on Independence night September 19. The establishment targets mature persons 25 years and older and is located downstairs the Cotton Ginnery at the waterfront in Charlestown, Nevis. The hours of operation for Nite Moves are 6:30 AM to 9:30 AM for breakfast, 10:30 AM to 2:30 PM for lunch and 6:00 PM until late for dinner. A new sports club, the Blue Nile Sports Club recently opened its doors at South Pelican Drive in Bird Rock, in the same location previously occupied by the Blue Horizon Bar. 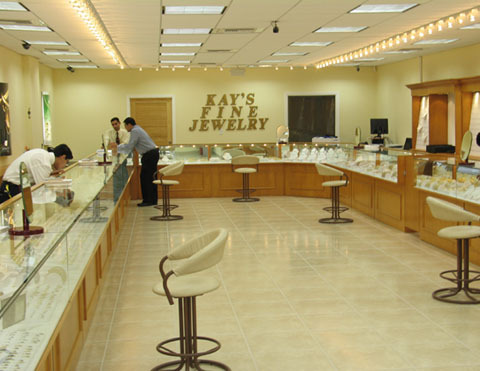 The opening hours are 11:00 AM to 11:00 PM. The Angelus Beach Bar comes alive every Thursday and Friday night. Every Thursday night is dubbed Latino evening and the action gets started at 9:00 PM. Starting from Friday September 30, Friday nights will feature karaoke, with the action getting started at 9:00 PM. The main restaurant at Coconut Grove in Nevis will be closed for vacation until October 31, 2005. There will be a massive Halloween party to mark the reopening. Upcoming events that may be of interest to visitors will be highlighted here. Nelson week will be celebrated in Nevis from October 9 - 16, 2005. The week of activities is being held to commemorate the 200th anniversary of the Battle of Trafalgar where Admiral Lord Nelson led the British forces to victory. During the week, Nevis will highlight some aspects of life in Nevis during Nelson’s time. Activities will include horse racing, a maritime service, display of museum exhibits, a gala dinner and dance, and beach games and water events among others. This section will feature photos from my growing collection. 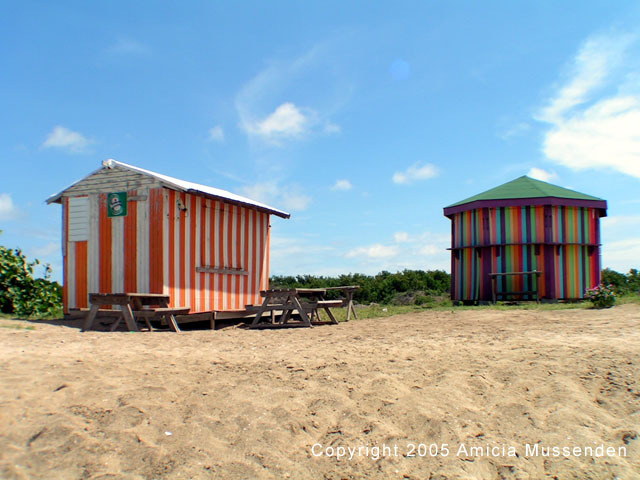 In addition, I will also feature interesting photos submitted by site visitors and travel forum members. If you have an interesting photo that you took on one of your visits to St. Kitts and Nevis and would like to have it featured on my web site, please e-mail me using the form, on my contact us page. 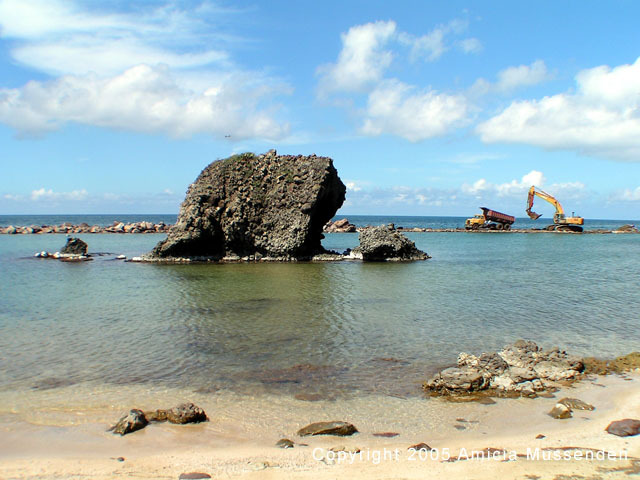 This section will feature testimonials received from visitors to Discover St Kitts Nevis Beaches. Just to let you know that in my humble opinion this is one of the best and most informative websites I have ever come across....brilliant, thank you. Just wanted to send you a quick note and say thanks again for helping me co-ordinate the boat cruise! It was fabulous, and Scott was completely taken by surprise. It was definitely the highlight of the trip for both of us!! The crew was great, and everything ran smoothly!! And it was wonderful to meet you and Grace at Buckys!! Scott is still talking about that rum cake she made!!! It was the best one he has ever had!! Hope to see you again in St. Kitts!! Hi, I've found your site extremely helpful and am thankful that I discovered it!